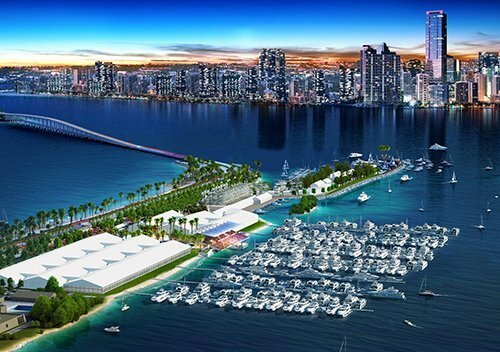 The Miami International Boat Show attracts thousands of visitors and hundreds of marine brands. Once again in 2017, the event will be held on the Rickenbacker Causeway and will offer both on-land and in-water exhibits. More than 1,200 boats will be presented; 400 in-water slips are available, the rest can be viewed on land. In addition to boat viewings, the show always will host on-the-water boating workshops, seminars and other activities, including paddle sports demos. New dining options and on-site restaurants will be available this year. You are invited to the unveiling of our new and improved products at the Miami International Boat Show, Feb 16-20, 2017. We will have the new Titanium Chiller range, the Dometic Sea Xchange + Spot Zero XZ watermaker, new CRX refrigerators, Eskimo Ice, and Avalanche coolers. Stop by booth C344 to learn more – just look for the “Dometic Mobile Living Made Easy” sign. Don’t forget boat show rebates available for Dometic Sanitation, HVAC and watermaker products. Click below for rebate forms and instructions.